and we might add is so today. In its ignorance mankind falls a prey to the machinations of an exploiting priesthood; because, though ignorant, it is craving for a “beyond” and cannot live without an ideal of some kind, as a beacon and a consolation. It is sometimes said that the belief in the existence of a personal God is so universal that there must be some basis of truth underlying that conception. That is so. It lies in this noble aspiration, this unintelligent but instinctive craving on the part of man for the perception of order in chaos, and for the knowledge that “the Heart of being is Celestial Rest.” Because man is god, and because he has forgotten, and is made to forget, that stupendous and sublime fact, there have come into existence the false substitutes of a personal god and an extra-cosmic deity. “To deliver humanity of this nightmare” it is necessary to restore to the individual an unshakable faith in his own powers, and the God within himself — nay, bring him to the conviction that he is deity, now in latency and can realize himself as such in the progress of time. Faith and conviction are born of knowledge and experience. Thus they differ from belief and fanaticism. Man has forgotten his divinity and immortality and all that remains with him is a vague, dim, misty, instinctive remembrance that somehow, somewhere, they must be. On the other hand an equally universal belief has taken hold of man’s fancy and imagination, viz., that himself and the world are but the ephemeral shadows which in his inscrutable will and pleasure God, who is above and beyond them both, has created and fashioned into existence. This notion, also universal, has a substratum of fact. It lies in the ever-changing nature of the One Life; if real life is in the spiritual consciousness of that life, real death is the limited perception of life. Conscious existence in Spirit is immortality; unconscious existence in matter is annihilation. There are two mighty possibilities for Man, in whom Spirit and Matter are properly equilibrized: (1) Immortality; (2) Annihilation. There is no power anywhere save in Man himself by which he can escape the second and attain the first; there is neither god in heaven to bestow the gift of immortality, nor a devil in hell to tempt him to destruction. In man, and only within himself, is the dual possibility. Beholding the fruits of me fair. Man is the one free agent in Nature. His intelligence makes him free. Will is not directly free elsewhere in Nature; the law of Karma adjusts the encroachment of matter on the flow of Will which is the power of the spirit. Only in the human kingdom, with the birth of intelligence, Will becomes free; and thus at last Karma finds the aid of an agent independent of itself instead of a passive instrument for its compensating operations. Thus even that Law of laws offers itself to become the Servant of Man. “Help Nature and work on with her; and Nature will regard thee as one of her creators and make obeisance,” says The Voice of the Silence. follows only immutable laws when she either gives life and joy, or sends suffering and death, and destroys what she has created…. The real evil proceeds from human intelligence and its origin rests entirely with reasoning man who dissociates himself from Nature. Humanity then alone is the true source of evil. In the varied transformations of evolution there is a particular stage where two opposing energies are so balanced that friction results, and the yield is a third energy which has in it the properties of both and yet it is different from either of them. This Plane of Balance is the Human Kingdom; it also is this earth. In the vast spheres of the starry-world, as in minute ones of atoms, it has its place; it manifests in the majestic march of hosts of hierarchies, as in the moral law which governs the heart of man. We have to learn to define Man differently. In whatever corner of this ever-expanding Universe-Brahamanda, whenever Spirit-Purusha and Matter-Prakriti come to the point of equilibrium, there and then the One Life has reached its humanity, and Man-Manushya is born. In the universe Spirit and Matter, Purusha and Prakriti, each pass through the Student-stage (Brahmacharya) to male-hood and female-hood, seek each other, court and love and through marriage enter the Householder-stage, Grihastha-Ashrama, and out of that primal holy wedlock the Thinker is born; then the Father devotes himself to the instruction and guidance of the Son, while the Mother nourishes and protects him. Since the birth of the Son the parents do not live so much for each other — as they used to — but devote themselves to their progeny. The Son is superior to both his parents whose energy, centripetal and centrifugal alike, he has inherited. 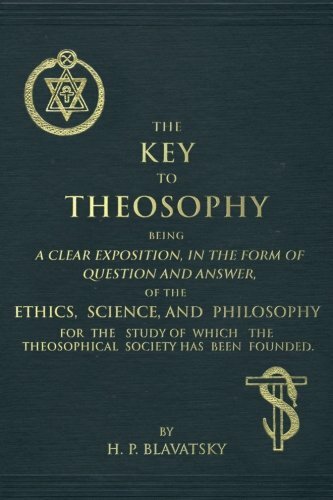 That is what is implied in the significant statement of The Secret Doctrine (I, 276): “Man … being a compound of the essences of all those celestial Hierarchies may succeed in making himself, as such, superior, in one sense, to any hierarchy or class, or even combination of them,” and let it be pointed out that he may also not succeed. The Doctrine teaches that, in order to become a divine, fully conscious god, — aye, even the highest — the Spiritual primeval INTELLIGENCES must pass through the human stage. And when we say human, this does not apply merely to our terrestrial humanity, but to the mortals that inhabit any world, i.e., to those Intelligences that have reached the appropriate equilibrium between matter and spirit, as we have now, since the middle point of the Fourth Root Race of the Fourth Round was passed. Each Entity must have won for itself the right of becoming divine, through self-experience. Hegel, the great German thinker, must have known or sensed intuitionally this truth when saying, as he did, that the Unconscious evolved the Universe only “in the hope of attaining clear self-consciousness,” of becoming, in other words, MAN; for this is also the secret meaning of the usual Purânic phrase about Brahmâ being constantly “moved by the desire to create.” … The Mind-born Sons, the Rishis, the Builders, etc., were all men — of whatever forms and shapes — in other worlds and the preceding Manvantaras. The Eternal Motion of the Great Breath creates as well as kills. It brings manifestation into being, but it also dissolves it. As a mighty wave in the shoreless Ocean of Absoluteness it arises to fall back into It and arise again, and so go on for ever and ever and ever. The Individuality … to run successfully its sevenfold downward and upward course has to assimilate to itself the eternal life-power residing but in the seventh [Atma] and then blend the three (fourth, fifth and seventh) [Kama, Manas and Atma] into one — the sixth [Buddhi]. Those who succeed in doing so become Buddhas, Dhyan Chohans, etc. The chief object of our struggle and initiations is to achieve this union while yet on this earth. Those who will be successful have nothing to fear of during the fifth, sixth and seventh rounds. But this is a mystery. The struggles of the human kingdom are beset with the curse of its individualistic nature. But that curse is a blessing in disguise. Individual man has to attain universal self-consciousness by following the path of responsibility. Reverence of and Reliance on the Self within, his Rex Lux, the Lord of Splendour and of Light, leads man on to the goal where the Great Cry is heard — “Aham eva param Brahman: I am verily the Supreme Brahman.” That Impersonal Principle has to be embodied by us. Human intelligence and self-consciousness make that a possibility. Nara-Man has to know himself as Narayana-God in a given cycle. Impersonality has to become embodied; Wisdom-Bodha has to incarnate in the Lord of Wisdom-Buddha in a given time. Nature or the One Life works on and on, through success when man becomes Master and through failure when men remain slaves to her gyrating cycles. In spatial depths there exists a mysterious Principle which contains the seed of Divine Incarnations and is the potency and cause of all Avataras. That Seed is the Jewel of Jewels in all Nature. It has within it, in collectivity, the experienced realizations of all men who have become Super-Men, Mahatmas, Buddhas. In the esotericism of the Gita, Krishna, in one of His aspects, represents that Seed; in that of the Puranas it is spoken of as Maha Vishnu, which is an Impersonal Principle and not the being of a personal God. It is sometimes called the Cerebrum of Adam Kadmon in Kabalistic phraseology. Such is the Teaching. Thou has to saturate thyself with pure Alaya, become as one with Nature’s Soul-Thought. At one with it thou art invincible; in separation, thou becomest the playground of Samvritti, origin of all the world’s delusions.